Welcome and thank you for considering Comfurn Design Commercial Furniture and Interior Fitout. 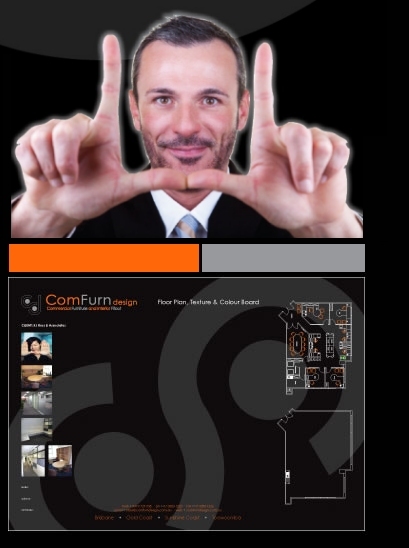 Comfurn, designs, co-ordinates, installs and manages complete solutions for the diverse arena of commercial interiors. 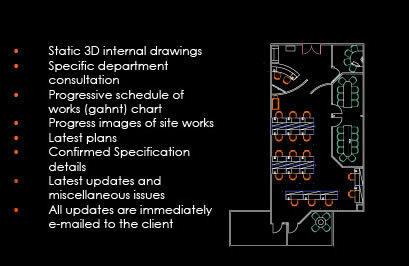 Through helpful well trained dedicated teams we aim to offer our client base a responsive answer to their commercial refurbishment needs. Please browse through the following pages and see the range of possibilities available with Comfurn Design. In the later pages are some examples of recent commercial fitouts. These pages are designed to explain and illustrate the potential that your new tenancy can achieve with Comfurn. Also new clients can use these examples as inspiration for new ideas and help create discussion between team members on the many salient issues hat need addressing. Comfurn Design Pty Ltd can supply your everyday office needs such as office chairs and additional ad hoc furniture requirements through to our core business of design and construct of new and existing commercial tenancies. We pride ourselves in creating a pleasant and professional experience for our client ensuring that all requirements are met with haste and precision. A range of green and recyclable products are available for the environmentally aware customer. Comfurn Design Pty Ltd ensures that all projects are completed to Australian standards and certified to the relevant building codes. Comfurn Design can take you through the complete refurbishment process from concept to completion. Their dedicated staff and wealth of knowledge will guide you to your final result. When you have engaged Comfurn Design to control your project you are immediately exposed to some of their privileged service options including design and sample boards, online access system which allows you to have a wide range of available tools.